If all you know of Chinese opera are painted faces and clashing cymbals it might be time for a revisit. And now’s your chance. 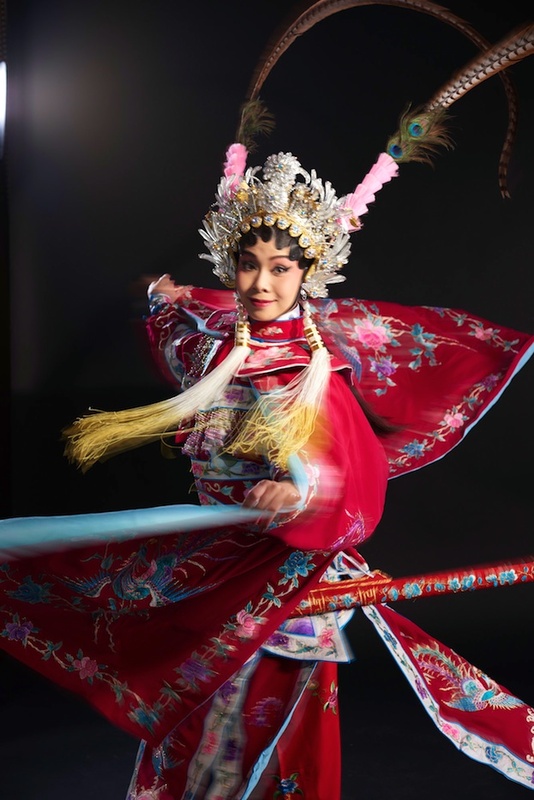 As part of this year’s Hong Kong Arts Festival, celebrated director Fredric Mao is shaking things up by reshaping a classic Cantonese opera for modern audiences. Called Pavilion of a Hundred Flowers, it’s a tale of star-crossed lovers and warring households that has echoes of Romeo and Juliet – with all of the intrigue and the drama that entails. “I wanted to choose a work that was accessible to a wider audience,” says Mao. The festival commissioned the opera as a new work in the hope of giving a platform for young opera performers to reach new audiences. “This is totally new, something really different,” says an enthusiastic Mao. 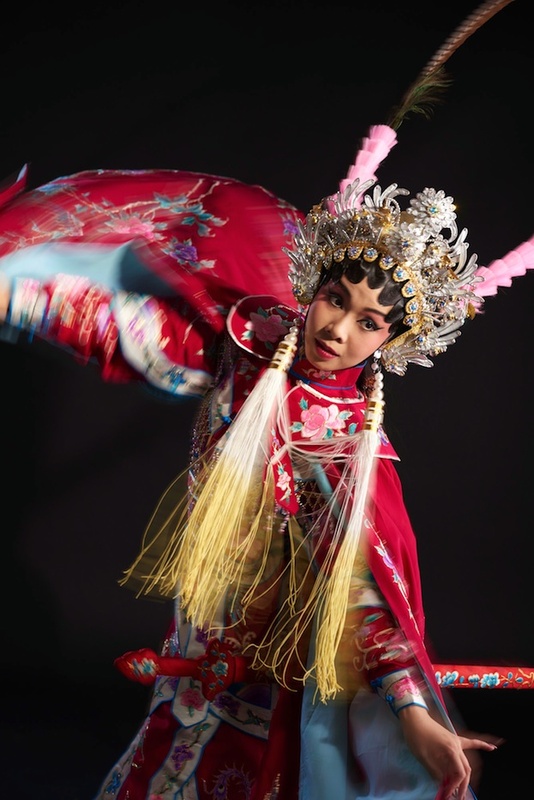 “Cantonese opera has a tendency to rely on diehard fans. It’s not a bad thing, but on the other hand, it’s limited. Youngsters would tell me, ‘I’m not against it, but I don’t understand it, and it’s so long,'” he says. 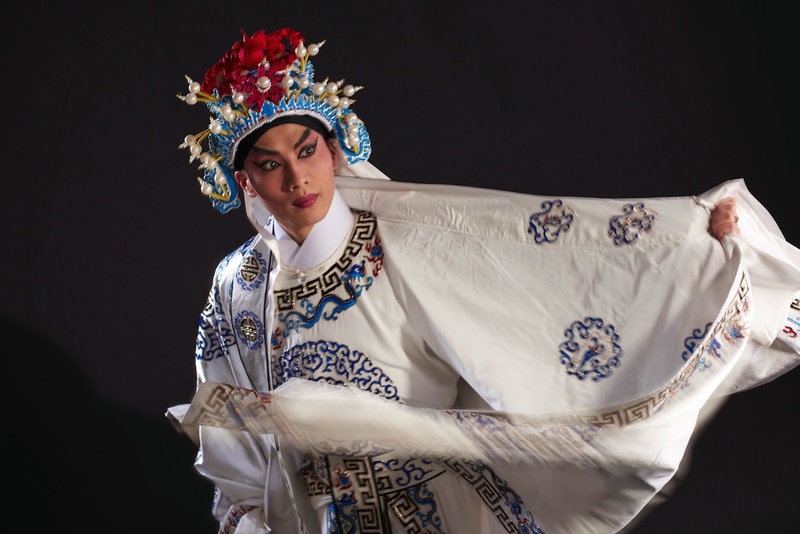 Standard Chinese operas tend to run between three and four hours. Pavilion runs two and a half. Mao viewed his first Chinese opera from his mother’s arms as a toddler in Shanghai, and he grew up accompanying his arts loving parents to performances after they moved to Hong Kong. He later worked with some of Pavilion’s young cast as students with he taught at the Hong Kong Academy for Performing Arts (HKAPA), along with Kong Chun-kit, the playwright who he co-adapted the story with. Mao was also responsible for creating the traditional Beijing opera, Emperor Dowager Cixi and Princess Deling, for Beijing’s National Peking Opera. He is undoubtedly a connoisseur of the art form. But Mao is by no means a traditionalist. His own training is steeped in Western performance methods. After receiving his MFA in theatre arts in the US, he performed there for many years, including, a stint on Broadway in 1975, before becoming Artistic Director of California’s Napa Valley Theatre Company. He returned to Hong Kong in 1985, when the HKAPA was established, and he became Head of Acting within its drama department. He has produced works from Shakespeare, Molière, Chekhov and Brecht, while his acting and directing talents have been multi-awarded. 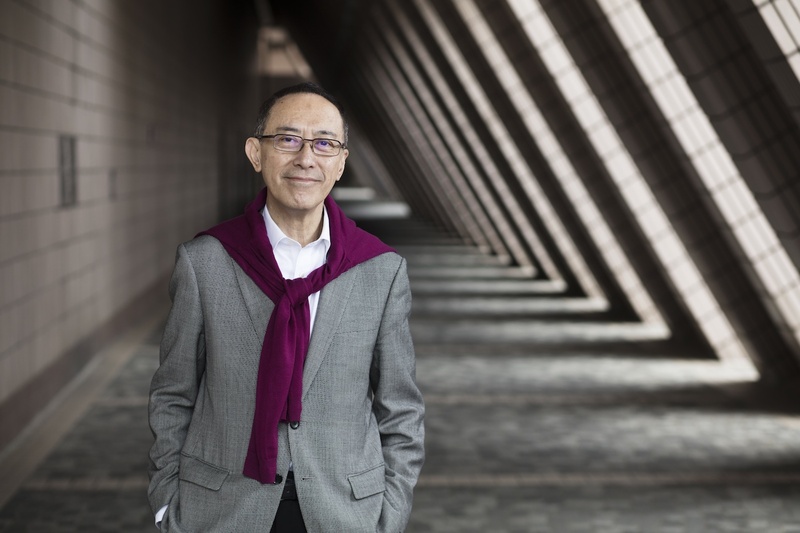 Five Best Director awards from the Hong Kong Drama Awards and a bronze Bauhinia star from the Hong Kong Government, in 2004, for outstanding contributions to the local performing arts scene are among the accolades he has received. It is these dual pathways and experiences that led Mao to entertain the idea of recreating Pavilion of a Hundred Flowers. This is not his first time he has flirted with incorporating elements of both Chinese and Western art forms, which have been traditionally seen as opposites. When Western theatre arrived in China, says Mao, audiences were surprised at the lack of song, dance and martial arts. “They called it huaju, meaning ‘spoken-word drama,'” he says. From time to time, Mao’s admiration for Chinese opera leaked into the plays he directed by Western playwrights. His version of The Visions by Simone Machard, presented at Hong Kong’s International Brecht Festival in 1986, featured a Chinese opera character playing a fantastical image of St. Joan. 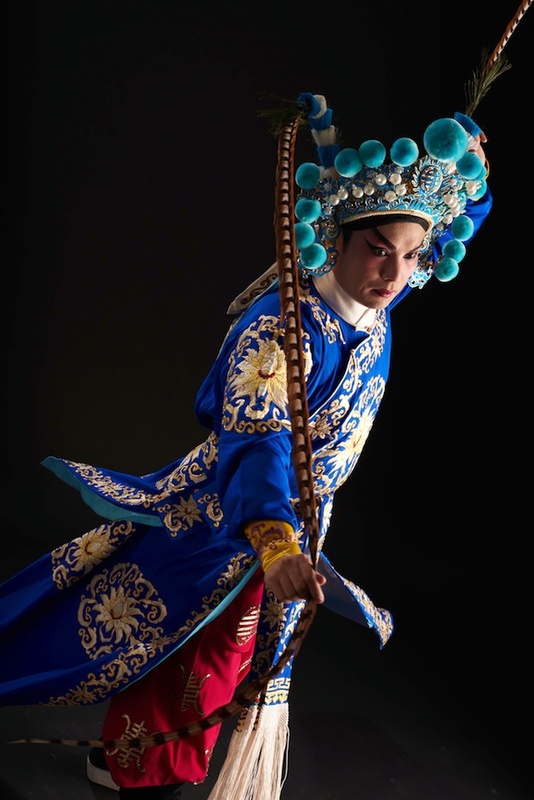 His 2010 original work The Liaisons was inspired by the Cantonese opera Legend of the Purple Hairpin; it fused a modern love story set in Hong Kong with excerpts from the traditional opera. “It was a more accessible fusion of opera and a play,” he says. But this is the first time Mao has embarked on a full-fledged modern reworking of a complete opera. 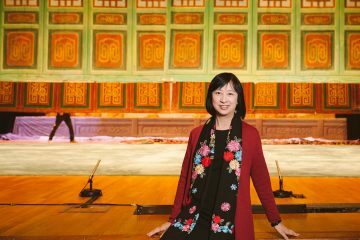 Unlike Shakespeare’s plays, which are regularly restaged and retold, Chinese opera more often remains muted in its traditional conventions. Musicians stick rigidly to the same scores, while performers repeat stylised movements and gestures passed down through troupes from generation to generation. Mao wanted to break through those traditions. 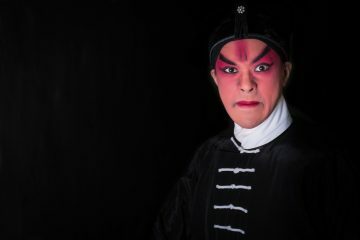 “I do respect their traditional art form, so I want them to do their best to express themselves to play their characters with the traditional style and convention as their base,” he says, referring to his performers, many of whom began their training as young as children when they were living in the mainland. Indeed, this early training is essential to creating the refined, rich movements required for strong performance, and is an area where young opera performers from Hong Kong appear to be at a disadvantage because there are less opportunities to train as young and as rigorously. But on top of this, Mao wants to infuse the production with the philosophies of Western acting schools. He wants performers to pinpoint the motivations behind each movement, and for the emotions driving them to be clear, to lead the drama. 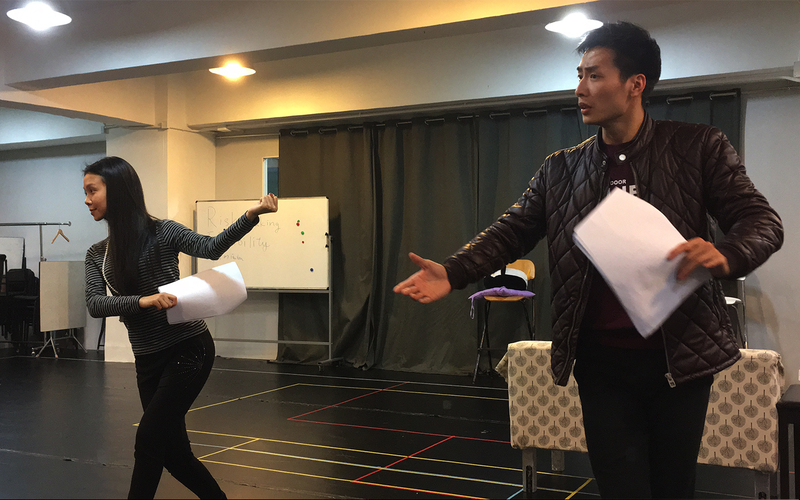 In a recent, early rehearsal, Mao explains, lead opera singers Wang Zhiliang and Lin Yingshi, both notable up and coming performers, asked if the moves they had performed in practising a dramatic love scene were good enough. “I said, ‘Of course this is enough, but why are you doing this. Do you know?’ They couldn’t tell me,” he recalls. Mao says he wants his performers to better understand the motivations that drive their characters, and he wants to fuse stylised movement with emotion. To achieve this, he coaches the performers. “You are chasing the girl. You are trying to impress her. If you do anything, are you carrying on that intention?” he says by way of example. This is new ground for the actors, but Mao says they are hungry to learn. 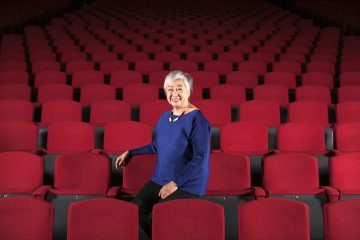 Mao hopes to create a more accessible experience for modern audiences in other ways, too, including dedicated lighting and set designers, and an updated approach to sound. It’s another break from tradition, since Chinese opera uses stock sets and same lighting. Mao has enlisted two old masters keen to move the show’s instrumentation to something a little more fluid and flexible than the traditional arrangements. Mandy Lam, a well-known costume director, will take care of the clothes. 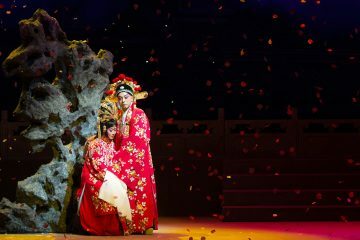 In Chinese opera, costume does not dictate character, as in the Western convention, but instead shows the performer’s status. The more famous or more widely acclaimed a performer the more extravagant his trunk – he will commission his own costumes – and the more often an audience can reckon on costume changes, something that has always been an attraction. “Audiences come to admire the new clothes that change scene by scene,” Mao remarks. Audiences of traditional Chinese opera relish this kind of pomp and the spectacle. Part of the reason stagings take so long is because audiences demand song after song from the most favoured performers, storylines falling to the wayside. Again, Mao wanted something more in line with modern tastes, and part of the reason he chose Pavilion was for its writing. Both the story and lyrics are strong, he says, with one exception – the ending. First written and staged in 1958, the original manuscript came from the acclaimed and prolific Hong Kong writer Tong Tik-sang, who is said to have created over 400 scripts over his short career (Tong died in 1959, aged 42). Educated in Shanghai, Tong was exposed to and became an ardent fan of both Chinese and Western literature and film, with those influences showing up in compelling characters and tight, well-constructed storylines. Many of his operas like The Dream Encounter Between Emperor Wu of Han and Lady Wai and The Story of Tung Siu Yuen are still being staged, but not Pavilion. “Some of the scenes [from the opera] have become legendary,” Mao says. “The music and lyrics are very attractive, very appealing.” But the story’s sudden happy ending seems rushed. 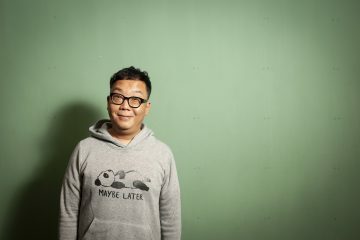 Some say Tong had a team of writers working under him, and so he may not have finished the story himself. There was such demand for his works, says Mao, that maybe he just came too close to deadline and made do. Nobody really knows for sure. Either way, Mao felt that the ending deserved more attention and adapted it together with rising talent Kong Chun-kit. That meant digging deep into the characters. “We had to find out why he betrayed her, why she forgives him, why they were willing to sacrifice this and that,” says Mao. The fact that there seemed to be a piece missing from the script made it all the more appealing to rework. Pavilion of a Hundred Flowers runs from March 2 to 4, 2018, at the HKAPA Lyric Theatre. Click here for more information. After earning a degree in drama, Elle Kwan thought she might spend a life playing others but soon discovered writing about people was even more satisfying than speaking their lines. Since moving from London to Hong Kong almost a decade ago, she has been writing about artists, performers, culture and creatives for stories that have appeared in magazines and newspapers including the South China Morning Post, Prestige Hong Kong, Tatler and Travel and Leisure, and she remains an avid fan of the performing arts.